1. Mix the syrup ingredients together. 2. 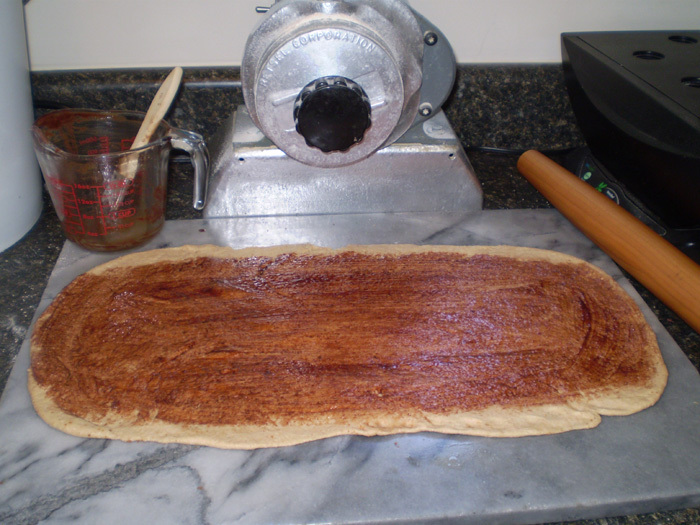 Roll out bread dough to a rectangle of 20 long x 10 wide. 3. 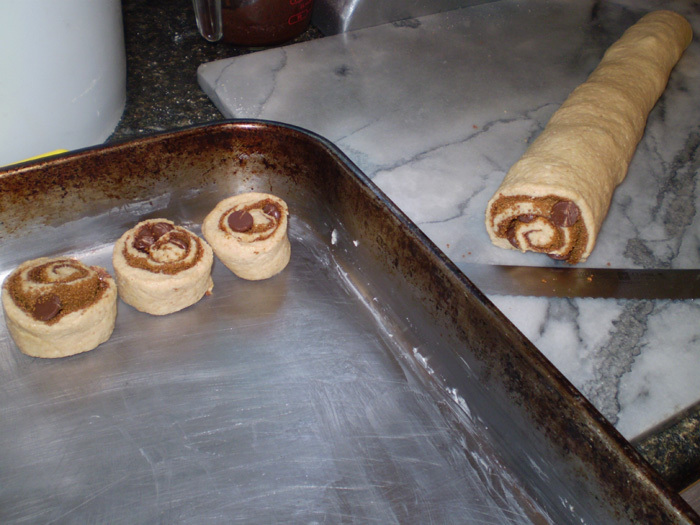 With a pastry brush, lightly brush the chocolate/butter syrup mixture over the rolled out dough, leaving an inch border on the wide sides so the dough will hold together when rolled. 4. 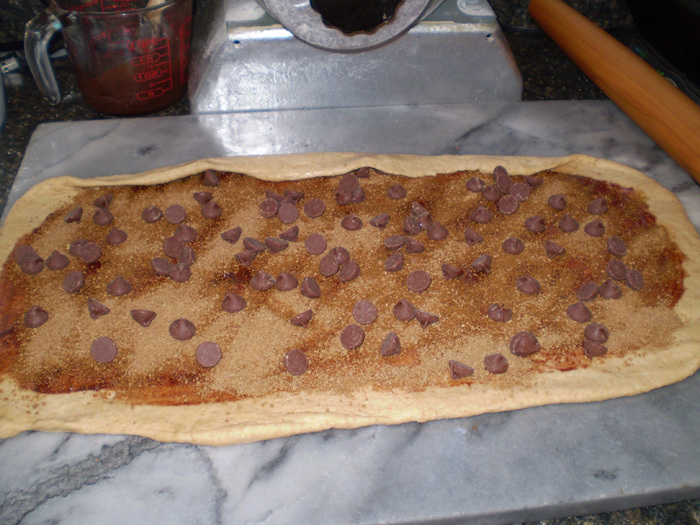 Evenly cover the chocolate syrup with sucanat and chocolate chips. 5. 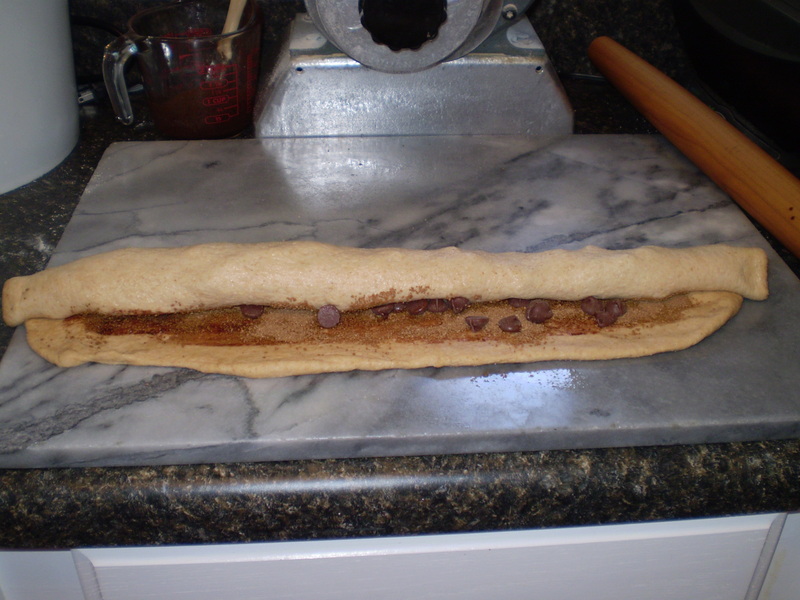 Gently, starting from the wide side, fold over a small “lip” and roll the dough, gently stretching and incorporating the sucanat and chocolate chips as you tightly roll (jelly roll style). Pinch the 2 long ends so the filling does not escape out the sides. 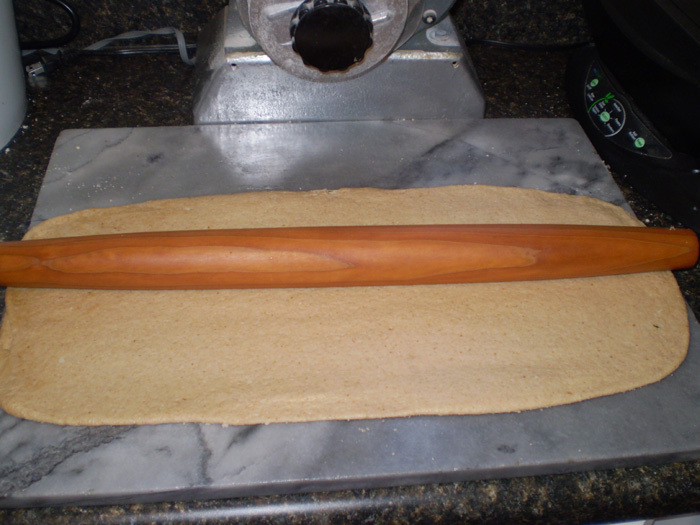 Pinch the long seam together and even up the long tube by gently rocking it back and forth on the kneading surface. 6. 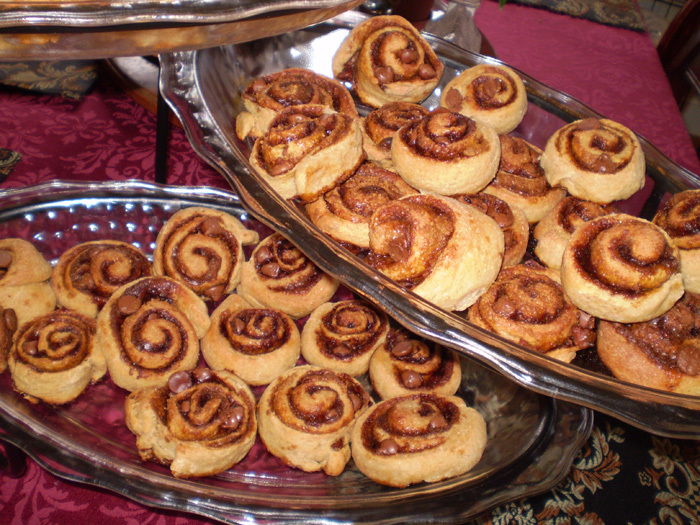 With a very sharp serrated knife, cut roll 1 1/2 inch wide and lay them onto a buttered (or parchment-covered) baking sheet, about 1/2 inch apart. 7. Let rise for about 20 minutes, or until puffy. 8. Bake for 20 minutes or until just golden brown. 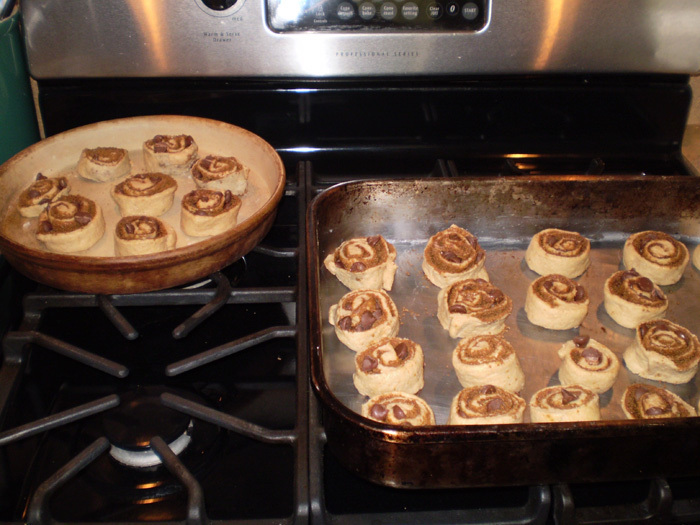 Let cool on baking sheet before removing to serving dish.